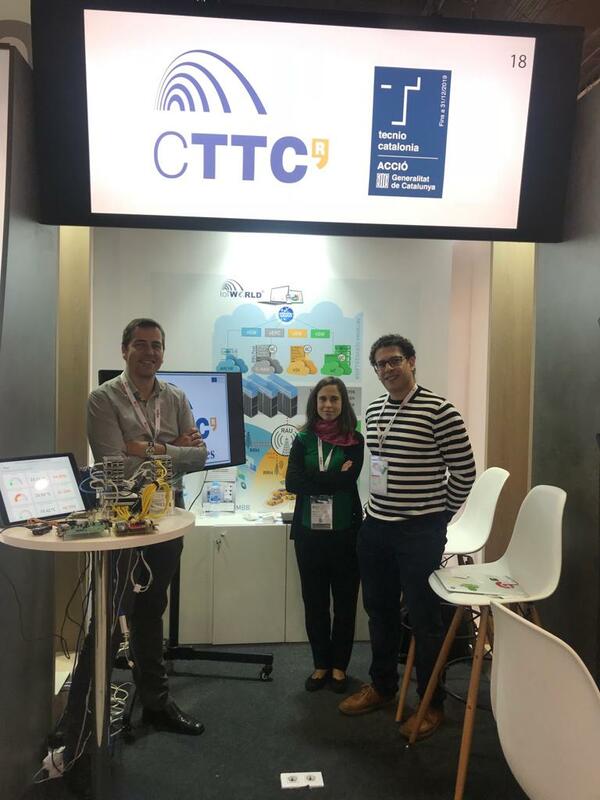 CTTC will take part as exhibitor in the IoT Solutions World Congress 2018 (IOTSWC18) which will take place at Fira de Barcelona (Gran Via venue), 16-18 October 2018. You can find us at the stand of the Generalitat de Catalunya (Hall 2 – E551). The last developments and functionalities of the IoTWORLD® testbed together with the progress in different National and European projects related to IoT, as well as industrial solutions, will be shown. IoTWORLD® testbed: Offering know-how and a platform for the implementation of different 5G vertical applications.